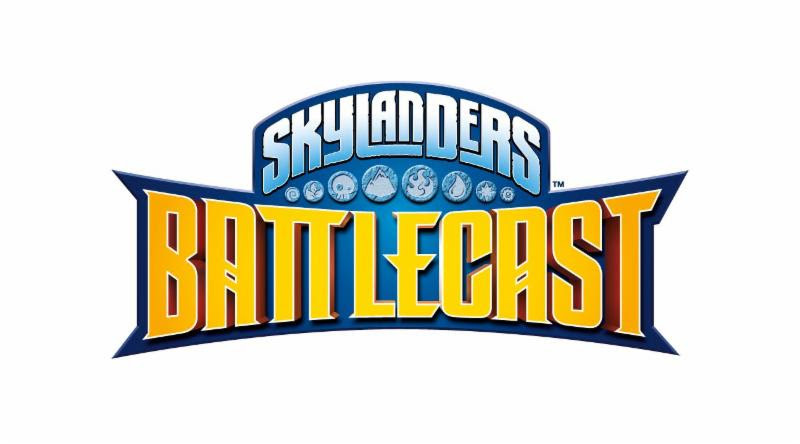 SANTA MONICA, Calif. - August 18, 2015 - Activision Publishing, Inc., a wholly owned subsidiary of Activision Blizzard, Inc. (NASDAQ: ATVI), is setting out to create a legendary league of card battlers with the mobile card battle game, Skylanders Battlecast. Created by the pioneers of the toys-to-life videogame category, Skylanders Battlecast brings cards to life in a new free-to-play mobile adventure, set within the Skylanders universe. The game offers everything from collectibility to strategic card combat, online PvP and an exciting single-player campaign, appealing to both Skylanders fans and classic card battle enthusiasts. Skylanders Battlecast lets players create a team of their favorite heroes and build the ultimate deck for battle. Fans can master strategic card combinations to become a champion of Skylands. "Built from the ground up to bring Skylanders to life on mobile devices, Skylanders Battlecast combines physical card play with mobile gaming in an all-new way," says Eric Hirshberg, CEO, Activision Publishing, Inc. "This is our biggest investment, and one of our most magical ideas yet, for the Skylanders franchise on mobile." For Skylanders Battlecast, players can purchase physical card packs at retail, as well as digital card packs in-game. Players will experience a magic moment by scanning cards with their mobile devices and watching them come to life. Additionally, fans can scan two character cards to create animated duels in which players can physically interact with the characters. "We are bringing physical cards to life in an exciting new way. Activision has assembled a team of experts across video game design, physical card game design, pro card players and top card artists to develop an amazing new experience," says Josh Taub, senior vice president, product management, Activision Publishing. "With Skylanders Battlecast, fans can expect the amazing creativity, innovation and fun that Skylanders games are known for delivering." Coming in 2016, Skylanders Battlecast will be available via the App Store, Google Play and the Amazon Appstore. So, what are your thoughts? Are you going all in on this one? Are you dreading it because you know you'll collect them all, or are you up for the challenge Portal Master? I definitely plan to give the game a shot and I personally think it has a lot of potential to be a very fun, addicting game! Well the news cycle post-Gamescom didn't lull for too long...As of today we now know of multiple alt-deco Skylanders AND vehicles to add to the wish list! As you might have guessed, several of these are store exclusives and they confirm the return of familiar concepts like Legendary, Nitro, and holiday specials. So, there you go...we are just a bit shy of 1 month until the release date and we have 4 alt-decos up for grabs. It is interesting you can pre-order all of them, but my experience with launch day in the past has been that everything is well stocked. That could change, they could have low production on some of these guys, but for the most part pre-ordering now is not near as big of a deal as it is for "holiday" time and afterwards. If you miss out on the initial run, the shelves should be restocked for the prime holiday shopping. I prefer to hold out to avoid freight and to likely cash in on some sales! Personally, I am the most excited for Frightful Fiesta! He looks amazing, although I'm slightly disappointed that there is no matching Crypt Crusher (at least not yet). Note that the bases also get a nice custom paint this time around. The "Steel Plated" version of Smash Hit is interesting and you have to wonder if this is a one-off for their store exclusive, or if we might see "Steel Plated" become a regular staple like Legendary, Dark, and Nitro. I've never been a big fan of the "gold and white" color scheme for the Nitros, but it doesn't look too bad on the copter, although I am 99% sure I'll prefer the standard scheme. I remain a big fan of the Legendary Skylanders and despite being a HUGE Jet-Vac fan, I am a bit disappointed to see him get Legendary form #2 while other characters could have taken their first dive into the exclusive club. I personally had hoped for a Legendary Shark Shooter Terrafin, but I digress. How do you feel about it? Leave a comment here, on the video, or on the Skylander Club Forum. Lastly, it is worth noting that multiple sites are adding Wave 1 characters and vehicles to the pre-order list. Many have claimed a HUGE listing for Wave 1...those claims and assumptions are not matching up with what we see across retail sites like Amazon, Best Buy, and GameStop. There is also, of course, the Starter Pack contents and the alt-decos listed above. What are your thoughts? Are you excited about the alt-decos? Which one do you like the best? Will you be buying just the alternate, both the alternate and the standard, or just the one you prefer the best on a case-by-case basis? COLOGNE, Germany - August 5, 2015 - Activision Publishing, Inc., a wholly owned subsidiary of Activision Blizzard, Inc. (NASDAQ: ATVI), continues to blaze the toys-to-life trail with Skylanders franchise firsts, racing and online multiplayer gameplay on console in Skylanders® SuperChargers, developed by Vicarious Visions. Whether fans prefer co-operative play in Adventure Mode or competitive multiplayer with up to four players in Racing Mode, Skylanders SuperChargers' online gaming is fueled with adrenaline-pumping action right out of the box. Skylanders' all-new Racing Mode, playable in Land, Sea and Sky environments, features supercharged racing combat, layering in even more depth and excitement to the game's online multiplayer component. The high-octane mode is further amplified with all-new time trials, which include three-lap races that take friendly competition up a notch as players battle for the best time score on the leaderboard. All Skylanders SuperChargers Starter Packs will come loaded with six dynamic race tracks - two each for Land, Sea and Sky. With hidden routes, power-ups, and diverse locations, Racing Mode offers completely new ways to enjoy the game. Whether played in offline split-screen or online multiplayer, gamers can choose the best route to finish a race, trying to avoid attacks along the way as they navigate through dynamic environments. Voice-chat is available with friends for an added layer of excitement. "Skylanders fans told us they wanted to go head-to-head in online multiplayer with their friends and family, and we delivered. Skylanders SuperChargers enables gamers to race against friends all over the world and brings an exciting new expansion to the Skylanders gameplay experience," said John Coyne, senior vice president of consumer marketing, Activision Publishing, Inc. "We continue to be firmly committed to driving Skylanders' spirit for providing originality, innovation, creativity and fun with each game." Skylanders SuperChargers continues to rev its engine with the addition ofSkylanders SuperChargers Racing Action Packs at launch and beyond. These optional expansion packs, one each for Land, Sea and Sky, unlock even more thrilling racing content for Portal Masters. Each pack comes loaded with three special toys, including a SuperCharger, its signature vehicle and a villain trophy. The villain trophy unlocks two new tracks and new modes, including SuperVillain Cup, Boss Pursuit and Mirror Cup. There are 12 boss villains across all three packs, with four in each pack, which players can defeat and play as. Fans can then store these boss villains on their villain trophy toy to play at a friend's house. Fans can augment their SuperCharger experience with a complementary, dedicated racing combat game -- Skylanders SuperChargers Racing -- for the Wii™ system and Nintendo 3DS™ hand-held system. All-new tracks, augmented with power-ups, boosts, hazards and more, offer up to 50 different and exciting gameplay experiences. On Nintendo 3DS, gamers can go head-to-head with competitive multiplayer via local play or online with up to four players. Iconic Nintendo character Bowser™ and his Sky vehicle, Clown Cruiser are available in theSkylanders SuperChargers Racing Starter Packs for Wii and Nintendo 3DS and can also be played on the Wii U™ system. The Supercharged character not only works in Skylanders SuperChargers Racing, but also as amiibo in compatible Nintendo games, so players can store their saved data in both modes with a simple twist of the figure's base. 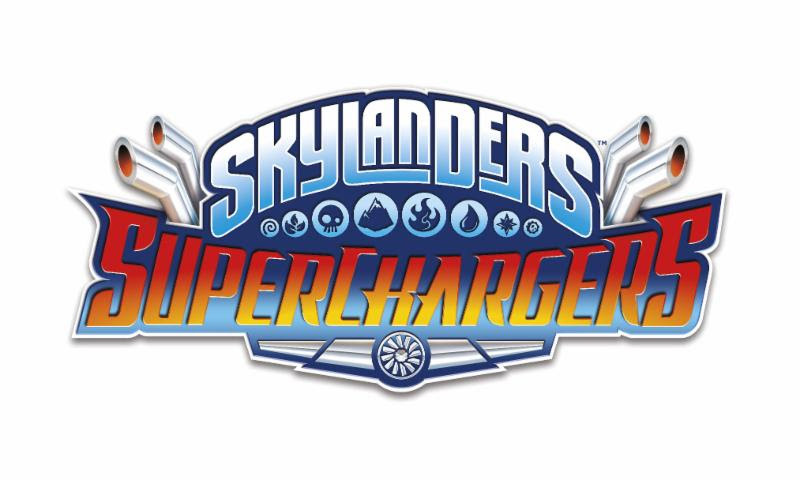 Skylanders SuperChargers expands upon the franchise's signature gameplay to introduce a brand-new play pattern to fans, vehicles-to-life. For the first time ever, kids can explore and navigate the mountainous terrains, deep sea environments and big blue skies of Skylands like never before by going behind the wheel of powerful, tricked-out land, sea and sky vehicles - bringing them from physical world into the digital world in a high octane action-adventure videogame. The game offers a diverse and dynamic story-driven gameplay experience, filled with vehicle-based and on-foot adventures featuring combat, puzzles, mini games, activities and platforming -- all set within a variety of new compelling environments. Skylanders SuperChargers has 20 land, sea and sky vehicles that are fun to play in the game and in the real world. There is also a new class of heroes -- 20 SuperCharger toys that feature all-new powerful attacks and moves, upgrades and personalities. The game supports all 300+ Skylander toys from previous games. Skylanders SuperChargers will be available on September 25 in Europe andSeptember 20 in North America on the Xbox One, Xbox 360, PlayStation® 4 system, PlayStation® 3 system and Nintendo's Wii U™ system. Additionally, the completeSkylanders SuperChargers experience will be available on iPad®(1). SkylandersSuperChargers Racing will be available on September 25 in Europe and September 20 in North America for Wii™ and Nintendo 3DS. The award-winning, $3 billion Skylanders franchise has sold through more than 250 million action figures(2) since pioneering the toys-to-life category in 2011 with the debut of Skylanders® Spyro's Adventure. The game originated a play pattern that seamlessly bridged physical and virtual worlds across multiple platforms. In 2012,Skylanders® Giants further evolved the genre and added LightCore® characters to the collection of interaction figures. Skylanders® SWAP Force™, which launched in 2013, introduced an all new play pattern - swapability. In 2014, Skylanders® Trap Team reversed the magic of bringing toys to life by allowing players to pull characters out of the digital world into the physical world and became the number 1 kids' console game globally(2). Headquartered in Santa Monica, California, Activision Publishing, Inc. is a leading global producer and publisher of interactive entertainment. Activision maintains operations throughout the world. More information about Activision and its products can be found on the company's website, www.activision.com or by following @Activision.